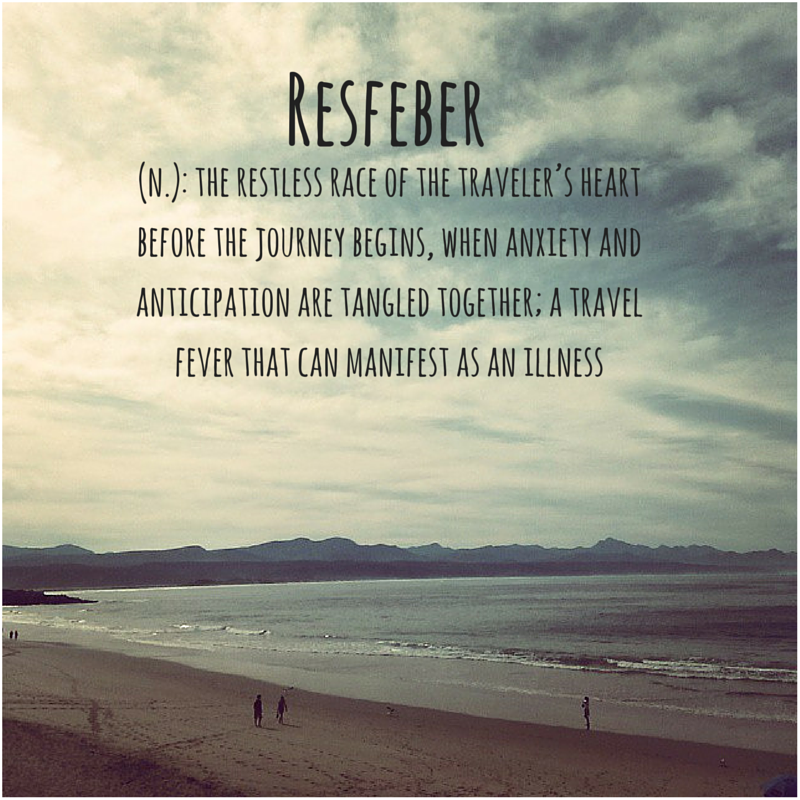 Resfeber is a Swedish word that I think wonderfully explains how I feel just before travelling. I struggle with anxiety because I HATE flying, an airplane is basically a bus in the air and that makes no sense to me, and also the fear of the unknown completely gets to me. However, I absolutely love traveling because of the incredible experiences you have in different cultures, being able to see the world and come home and appreciate what is on your doorstep, no one can take away experience or memories.The mixture of all of those feelings can be summed up perfectly by just using the word, resfeber. Thank you Sweden!